Are you challenging your students' brains? Educators are looking for innovative and creative ways to challenge their students. 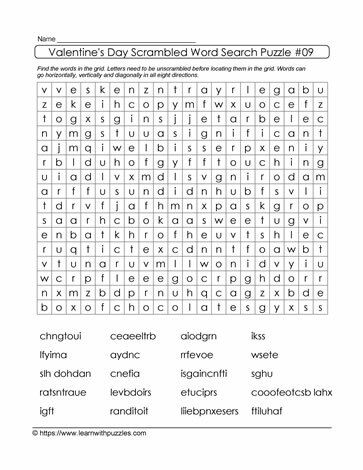 This scrambled letters word search puzzle, with a Valentine's Day theme, engages students' brains, but first requires students to unjumble the letters in the list of words before they can locate the words in the grid.